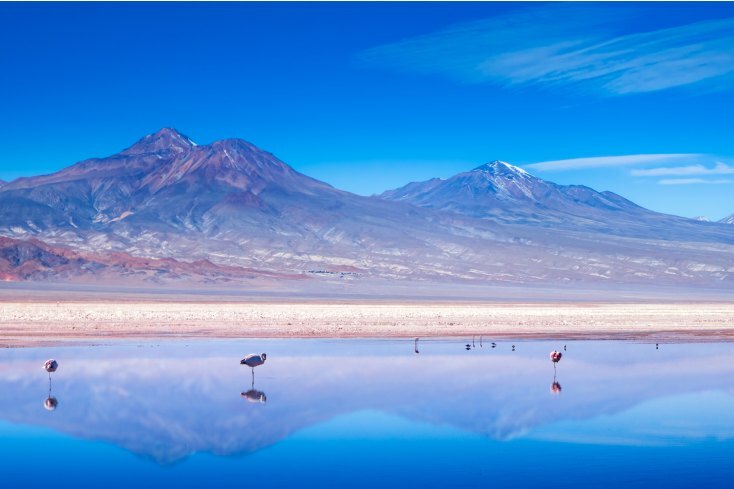 Chile is a stunning country full of contrasts, housing the world’s driest desert and fertile vineyards, running parallel to the Andes Mountains down to where glacial rivers twist into Patagonian fjords. Would you like to know top 5 “things to do in Chile”? I had the pleasure of living in this beautiful country from September 2009 to December 2013 and in those four years I travelled the country from tip to tail. I discovered its secret corners and hidden gems as well as the classic highlights which give Chile its deserved reputation as a world-class adventure destination. 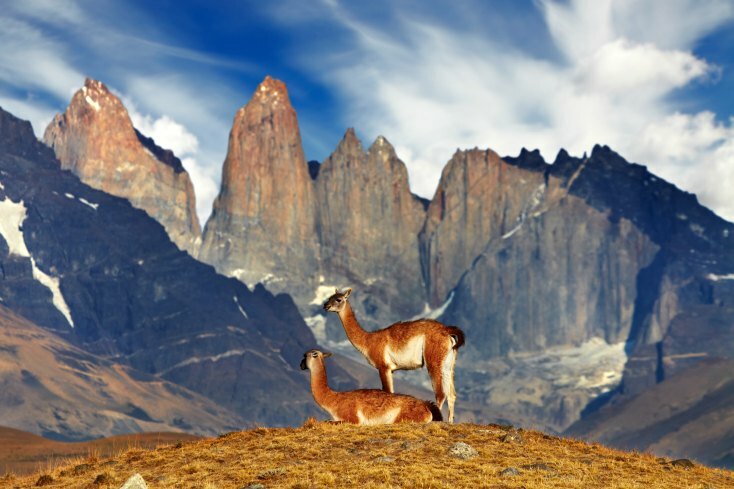 I visited Torres del Paine three times and delved into the park’s wildlife spots and hidden trails, as well as doing the classic W Trek which takes you around the highlights of the striking Paine massif. The W Trek is such an adventure and can be done in a group or on your own, at whatever pace as campsites are strategically based along the route, so I would strongly recommend it for anyone who is active and wants to see mountain peaks, millennial forests and piercing blue glaciers up close. I went for the glamping option and stayed at a gem of a hotel called EcoCamp Patagonia, a sustainable geodesic hotel whose domes are nestled into the hillside at the foot of the famous granite Torres del Paine. I know the owners of the hotel and admire their sustainable vision and desire to share their best practice story of how to create eco-friendly accommodation in an area of fragile wilderness. …Is something I didn’t have time to try! But it looked awesome and I will definitely try when I find time to go back. I did, however, trek through the endless sand dunes and visit the impressive Atacama salt flat. 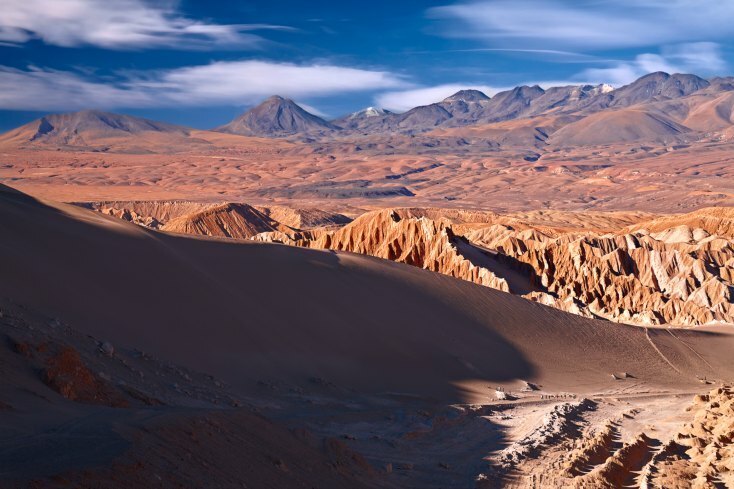 The world’s oldest and driest desert covers over 100,000km² of northern Chile and is so dry that scientists have been searching for what they think could be similar to life on Mars. There are some really cool off-the-beaten paths locations to visit, like San Bartolo, Rio Grande and Machuca, in addition to the classic landmarks including the Tatio Geysers, the lagoons, the salt flat and Moon Valley. If you want to splurge then try the Awasi hotel in San Pedro, a unique, award-winning hotel with just eight rooms, made of stone, adobe and wood, with thatched roofs. The temperature drops dramatically at night in the desert so take layers! Chile’s Lake District is a scenic array of active volcanoes, azul lakes and deep green forests housing Araucaria (monkey puzzle) trees. 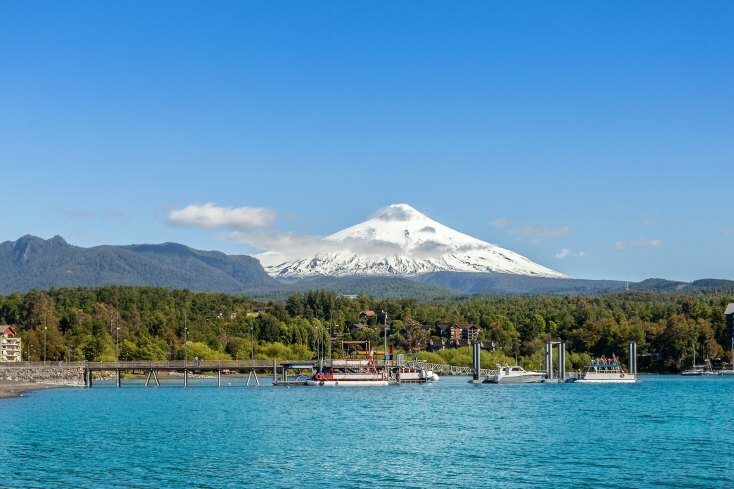 I visited the Lake District at least twice a year, enjoying summers on the lake shores in places like Pucon, Coñaripe and Lican Ray, and winters looking out at the striking snow-covered Villarrica volcano. Hiking up the volcano is a must-do for anyone visiting and involves hiking up to the crater using crampons and then sliding down the final stretch of the way down on plastic bags – great fun! 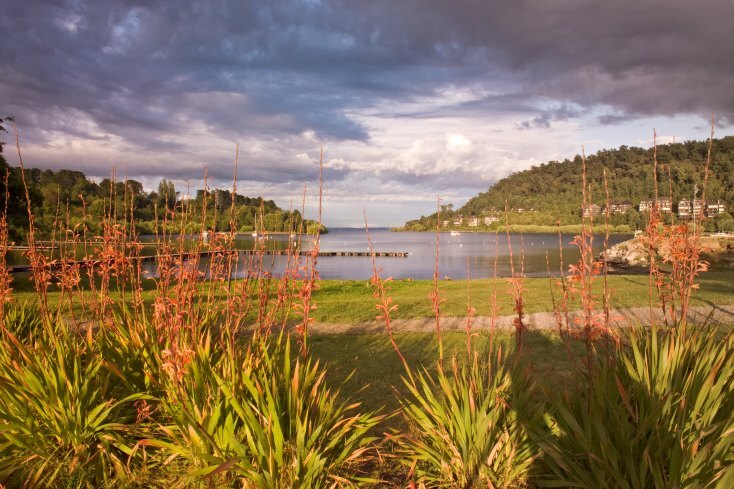 Rafting on the Trancura or Petrohue River is another really fun activity for summer, letting you float down the water admiring the scenic riverbanks. If you’re a real adrenaline junkie go for the Futaleufu river further south, but beware (as I’m not sure I was!) that it has grade-V rapids. When I moved to Chile in 2009 people asked why I was going to live so far away and I replied what could be better than a country where you can ski and surf in the same day? Although technically possible in Chile due to the proximity of the Andes mountains and the coastline I’ll disclose I did not ski and surf in the same day once! I did however make the most of the excellent ski resorts on the capital’s doorstep and take every opportunity I could to visit Valle Nevado, La Parva and El Colorado ski resort. There’s something so magical about waking up in the city on a clear winter’s morning to the snow-capped peaks, which sometimes feel so close you could reach out and touch them, and then an hour and a half later, swooshing down the slopes overlooking the urban sprawl. Easter Island was my final Chilean fling. After booking my ticket to leave Santiago for good I had a sudden rush of regret about not having visited the world’s most isolated inhabited island, belonging to Chile but 3700 km off its coast. So I booked a last minute trip and was so glad I did! 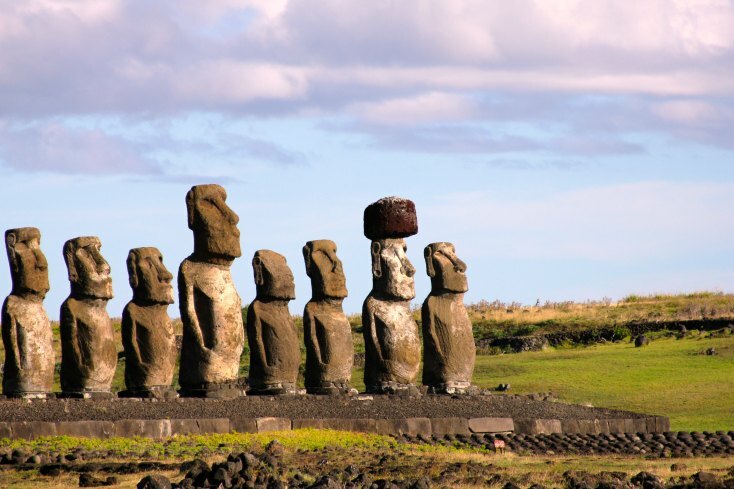 A mystical place steeped in rich Pacific island history, Easter Island is a windswept open air museum showcasing the fascinating Moai statues which measure up to 10m tall and weigh up to 70 tonnes. How the islanders moved the Moai is a topic of intense speculation and once you’ve visited you’ll probably have your own views about how the island ended up as it has today, with Moai scattered and some destroyed, and barely any trees on the island. The best hotel to stay at on Easter Island is the Explora Rapa Nui which boasts stunning architecture and views in a unique location. There are so many other fabulous places to visit and “things to do in Chile”, including visiting capital Santiago’s bohemian neighborhoods, walking the colorful winding streets of UNESCO world heritage site Valparaiso and wine tasting in the central valley heartland. It may be more expensive than its South American neighbors and I may be biased after calling the country home for four years, but with its friendly people, year-round activity offering and unmatched geographical contrasts I’m calling Chile the world’s best adventure destination. What are your favorite places to visit in Chile? How about South America? Explore our featured destinations for an unforgettable journey! 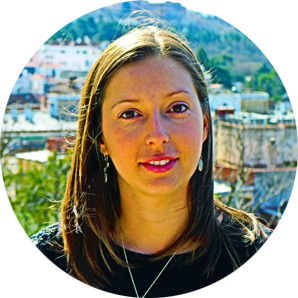 Digital Marketing & PR consultant focused on sustainable travel, green construction and all things Latin American. Great tips on things to do and amazing photos!! I have been wanting to go for a long time. 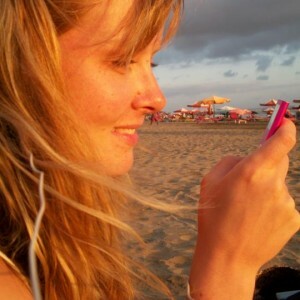 Thank you Gemma, an excellent selection of places to go in Chile! Give me a hint where was the first photo taken, Chilean Lake District? Those salt flats look AMAZING! Thank you for sharing a few “not-yet-so-known” ways to explore this beautiful country! Ooooh, great list. 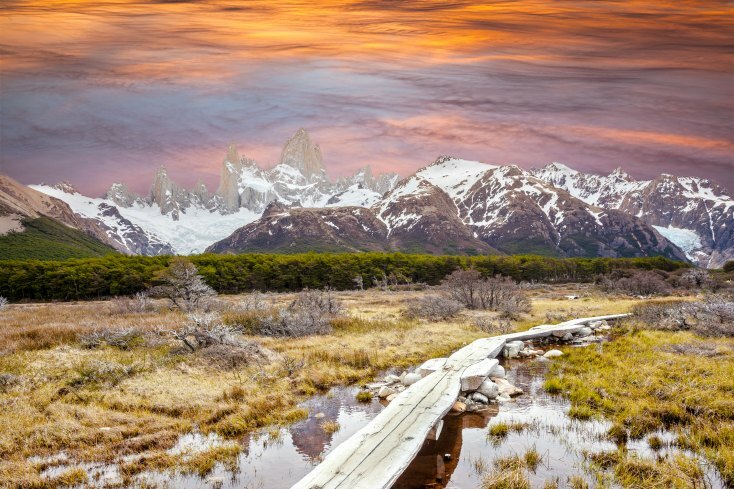 The great outdoors of Chile just look STUNNING! We’re heading there in about six months, so I’ve just added this to our bookmarks.